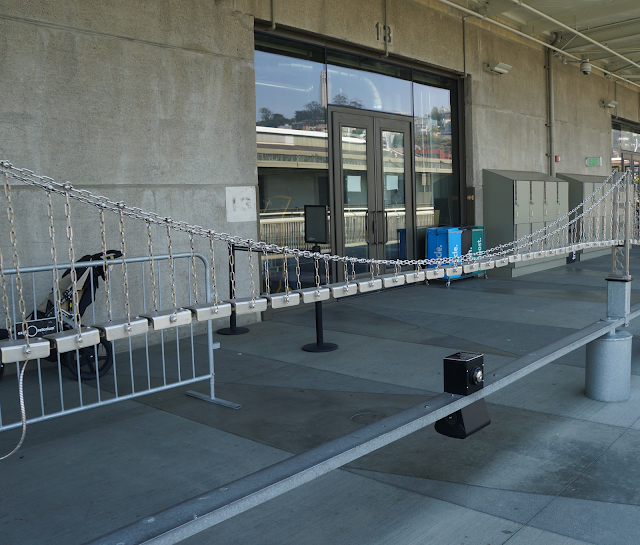 Next up on our weekend itinerary was a Sunday morning visit to the San Francisco Exploratorium. The San Francisco Exploratorium is a museum of science, art and human perception that is designed to intrigue visitors of all ages curiosity. I like to think of the Exploratorium as a giant playground showcasing interactive educational fun at its very best. 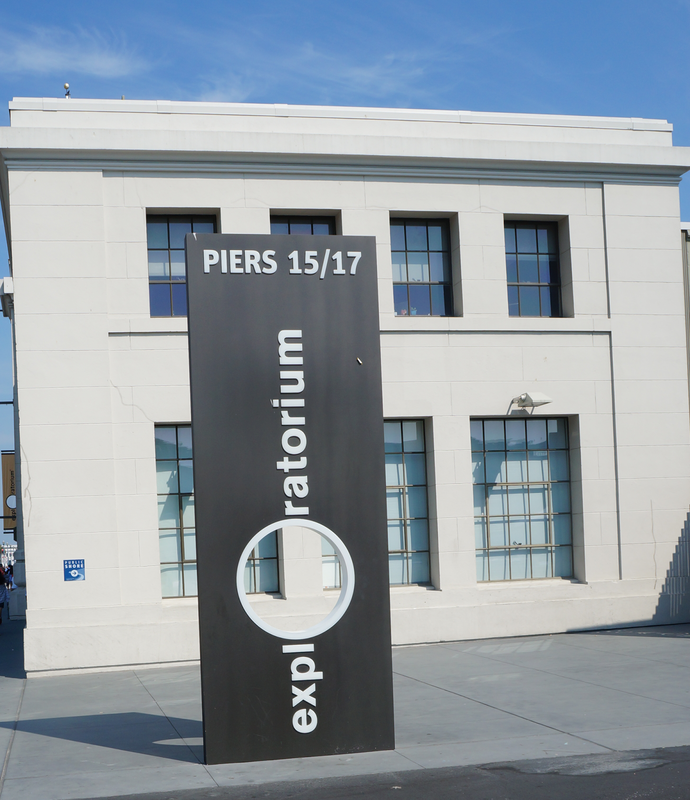 I remember visiting the Exploratorium as a kid at its old location near the Palace of Fine Arts, but the Exploratorium now has a new waterfront location on Pier 15 on the Embarcadero. It is approximately halfway between the Ferry Building and Pier 39, making it a great stop between the two iconic locations. The new Exploratorium is huge and features over 650 interactive exhibits. It also has nice views of the San Francisco Bay and the of Bay Bridge on the second level of the building. The new exploratorium is very large and there are tons of exhibits and things to-do. At first glance, when walking in to the gallery, it can be overwhelming on where to start. Or having that feeling where you start somewhere and feel like you may miss out on something you really wanted to see. You could easily spend all day exploring the different exhibits, but if experiencing the Exploratorium with kids you know you only have a 2 to 3 hour window before your kids will exhaust themselves. With that sometimes being the case, it always helps to have a guide on where to start and how all the different areas are broken down. Learn about the history, geography and ecology of the Bay Area. There are also great views of the bay from the second floor. If you are only planning on visiting only the Exploratorium, then the above option is likely your best bet. 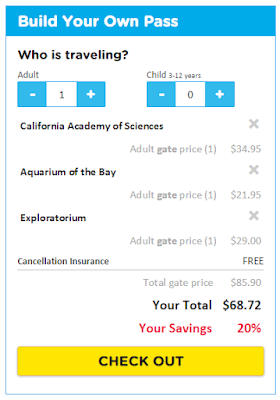 However, if you are planning on visiting other big attractions in San Francisco, i.e., the California Academy of Sciences, Aquarium of the Bay, taking a Boat Cruise, the de Young Museum or any other attractions in the city, I recommend using one of the options I describe below in Option 2 to save at minimum 20% and up to 50% depending on what attractions you plan on seeing. For my recent trip to San francisco, I looked at both the Go City Card and CityPass and the various options they had available for attractions in San Francisco. 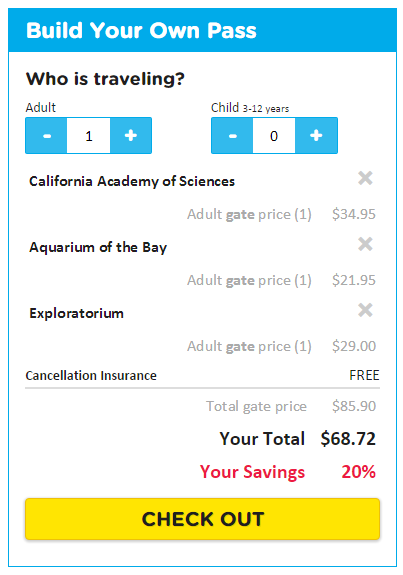 For this trip, I decided to go with the Go City Card, as I only planned on going to a few attractions with my family, which included the California Academy of Sciences, the Exploratorium, and the Aquarium of the Bay. Both options are good and choosing between the the Go City Card and CityPass will depend on what attractions you plan on visiting, the amount of time you plan on spending in San Francisco and the price you want to pay. The Go City Card for San Francisco can be purchased as an 'all-inclusive pass', an 'explorer pass' or a 'build your own pass' and offers 30+ attractions in San Francisco. The all-inclusive pass comes in 1, 2, 3, 5, and 7 day options and for a flat price allows you to visit as many attractions as you can in the time period. The explorer pass allows you to visit any 4 attractions for one low price. You can learn more by visiting their website. The San Francisco CityPass offers a booklet of admission tickets to the 5 must see attractions in the city and is also offered in other major cities. You can learn more by visiting their website. You could also buy your tickets on site at the ticketing windows at each attraction, but you'll end up paying full retail price and depending on when you get there, you can expect long lines. Seaglass Restaurant offers a variety of food options, including sushi, salads, sandwiches, pizza and other hot items. The Seismic Joint Cafe near the front of the Exploratorium offers quick snacks, a coffee bar and baked goods. Souvenirs, clothing, games, books and other items are available at the Exploratorium shops in the museum itself and at the store at the front of the museum. There are lots of unique items here that you will likely not find elsewhere. The Exploratorium is not only a museum for kids and visitors of all ages will enjoy themselves here. There are even some exhibits that toddlers will love involving color, bubbles, lights and mirrors.